It seems like no more than a handful of months are allowed to pass before we are presented with yet another Optimus Prime toy. 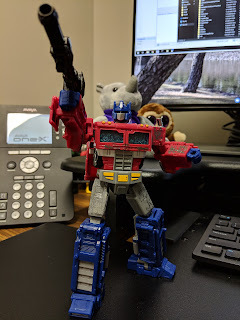 Be it from a new movie, new cartoon, or the latest video game, there is always an Optimus on the shelf. Siege Optimus, like all of the other characters in the line, is a very faithful throwback to his original G1 robot mode with a slightly modified Cybertronian vehicle mode. The robot modes are where the Siege line really shines. Everyone is very well articulated and looks exactly like you would expect a G1 character to look. We all know the original G1 toys looked nothing like their cartoon counterparts. 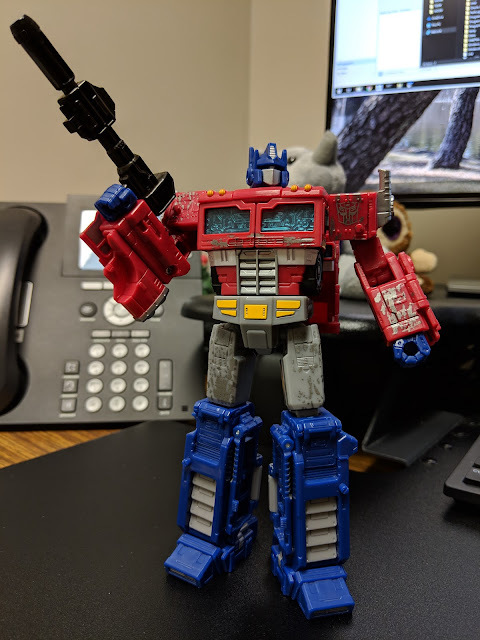 Other than a small amount of kibble under his forearms and his backpack there is very little junk hanging off of Optimus' robot mode. You can't see if very well in these photos but I think his backpack looks quite a bit like the jetpack he borrowed from Sideswipe during an episode of the G1 cartoon. Works for me. Up, up, and away! 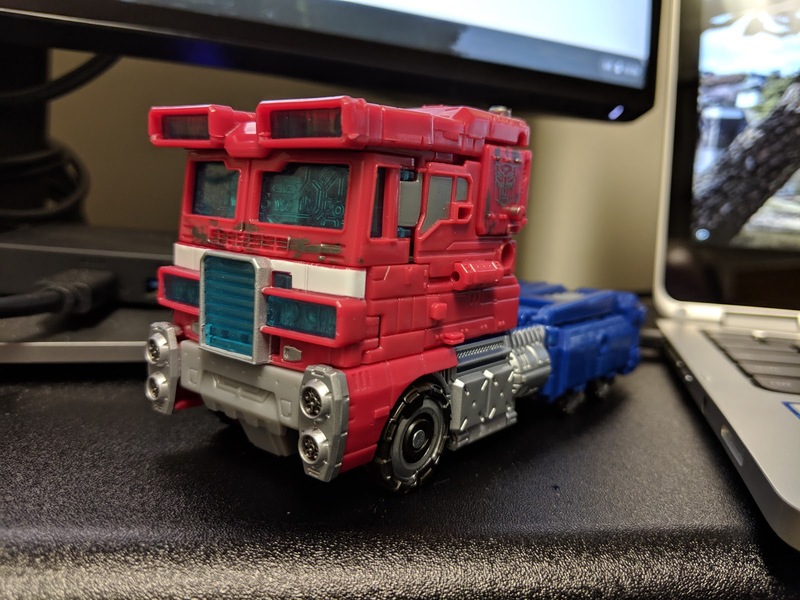 The truck mode reminds me very much of his original G1 vehicle mode despite having all of the little Cybertronian bits. It is very close to the same size and has that same boxy feel. I approve. I just wish he came with his trailer or if they sold one separately as a playset. Thankfully it is becoming less rare to get a Voyager scale Optimus. 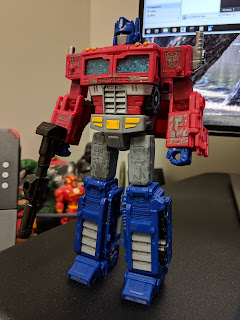 Hasbro was hard set on making every Optimus Prime a Leader class toy. He was never that big in the G1 days so I am thankful for every Voyager Prime we get. In my opinion this Optimus is by far the best Voyager scale Prime we have received to date. He is as detailed and articulated as a Masterpiece toy and a heck of a lot cheaper.